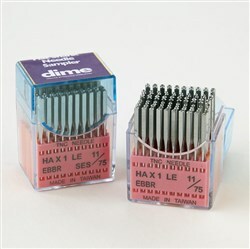 • Pack of 60 Needles! • Work great with regular home embroidery machines as well multi-needle automatic threading systems! 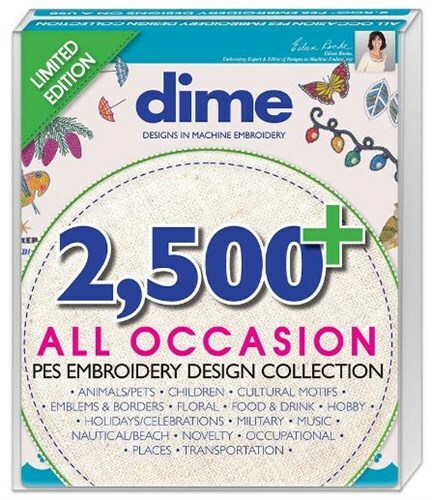 This amazing pack is a great value and will help improve your embroidery quality. Perfect for general purpose embroidery on all knits fabrics and some woven materials. This includes onesies, plush materials, golf shirts, t-shirt and sweatshirts. Also suitable for oxford and apparel weight fabrics that are not densely woven and fabrics with floating yarns such as satin and charmeuse. This heavier blade size is ideal for heavier knits and heavier yarns. 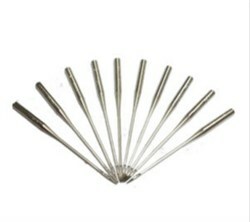 Examples for use of this needle include towels, yarn-type threads on most fabrics and leather or leather-like materials. Suitable for heavier fabrics and threads when a sharp point is not desirable, such as heavyweight knits. Not for knits- rather for lightweight woven fabrics including quilting cottons and densely woven synthetic fabrics such as nylon and polyester. Ideal for windbreakers, pillows, hankies, and waterproof materials. 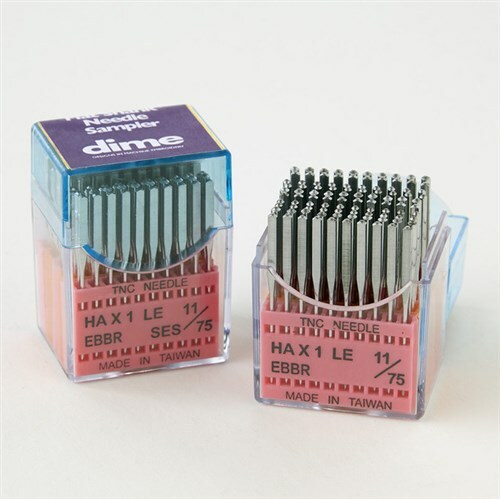 This needle is ideal for canvas, jackets, caps webbing and other heavyweight woven materials. 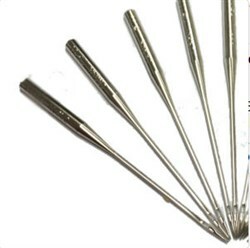 Use this needle when embroidering on a heavyweight woven material, webbing and finished caps.